Compression stockings are often worn by people with leg conditions like excessive swelling. People with various jobs and from different walks of life use them. If your doctor or physiotherapist recommends compression stockings, it can help to know how they work. 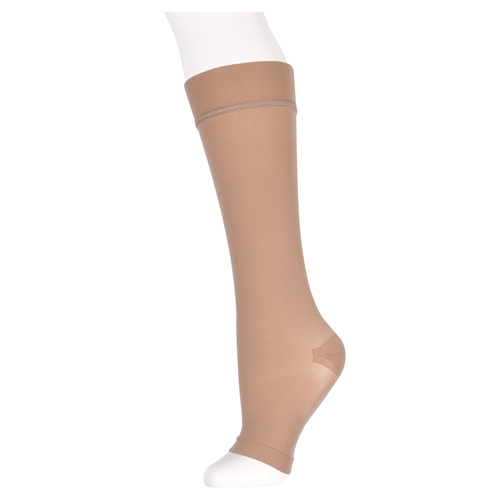 Compression stockings use graduated compression to push blood up to the heart. At the foot, compression stockings are at their tightest. As the stocking travels up the leg, the tightness eases. If you have conditions like varicose veins or edema, it becomes harder to push fluid out of the legs, resulting in pain and fatigue. People who sit for hours at a time (for work or during long periods of travel) are also at risk, as blood tends to pool when the legs don’t help push blood back to the heart. These stockings apply pressure to feet and legs, pushing your blood back to your heart and preventing it from pooling in the legs. The stockings mimic the pumping of muscles in your legs as you walk or stand. 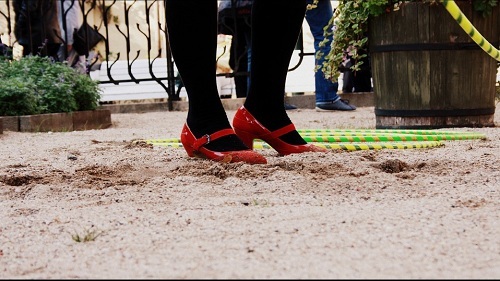 Standing and walking naturally causes the stockings to push blood upward to the heart. Pushing blood upward also causes it to flow faster, which speeds up the oxygenation of your blood. By compressing your legs, compression stockings also dilate blood vessels, which lets blood flow faster through the body. The stockings also stabilize the muscles, preventing fatigue and even damage (like torn muscles or tendons). 1. Preventing Blood Clots – If blood pools for long periods of time, it is more likely to clot, which can lead to deep vein thrombosis. As compression stockings improve circulation, blood can flow freely, never giving it time to clot. 2. Treating Injuries – Athletes use compression stockings to improve blood flow during recovery from an injury, to ease pain, or to stabilize muscles and keep them from tearing. Compression stockings are often recommended for postoperative patients. Surgeries can have side effects (like blood clots) that can be life-threatening, which compression stockings help prevent. 3. Improving Athletic Performance – Improved blood flow and muscle stability better an athlete’s performance. Research is underway to determine the benefit of compression stockings for everyday athletic use. To get the most out of compression stockings, it is important to wear them every day. If you have complications like numbness or darkening of the toes, call professionals like our team at Oriole Physiotherapy and Rehabilitation Centre. You can contact us at (416) 221-0772 to book an appointment for your physiotherapy needs.